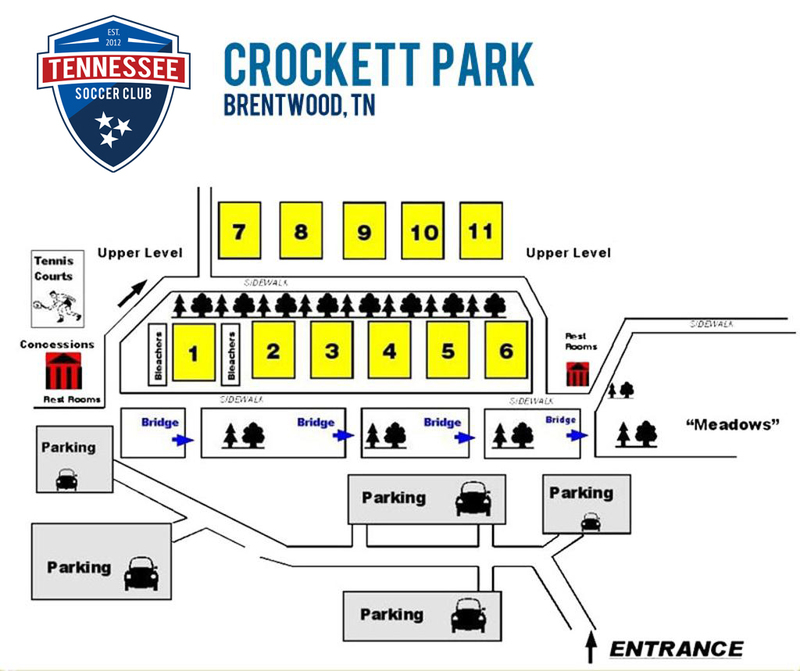 Crockett Park is located in Brentwood, Tennessee. From I-65 South Exit 71, Concord Road: Go Left (East) on Concord Road 1 mile to Wilson Pike. Turn Right (South) on Wilson Pike and go 1 mile to Crockett Road. Turn Left (East) on Crockett Road and go 0.4 miles to entrance to Crockett Park. (Entrance road enters between Crockett Elementary School and Holy Family Catholic Church on Volunteer Parkway at the traffic light). Turn Left on Volunteer Parkway, continue past schools and the soccer fields are in the far back of the complex near the creek.